Charleston Forge furniture is handmade in Boone, North Carolina from beautiful American hardwoods and other materials by local craftsmen. The tapered legs of the Cooper give it an elegant presence in any space. 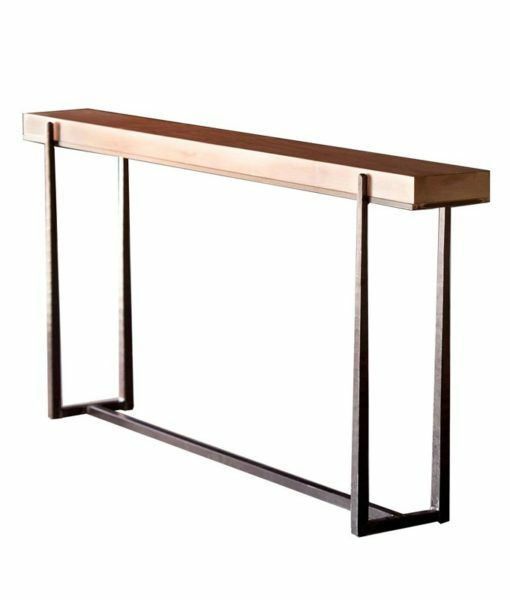 Several pieces are available in the Cooper collection including consoles, coffee tables, end tables, desk and drink table. There are numerous metal finishes and tops available.